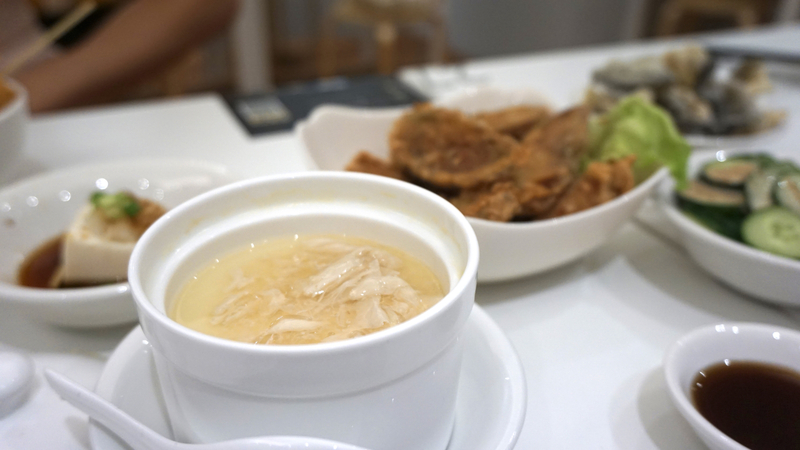 One thing is clear from my visit to BakBak: Rong Cheng’s Second Generation Co-Founder is a man with his eyes firmly set on the future of Bak Kut Teh. The Circular Road set-up has a cashless payment system, optional waiter-less ordering system, a unique menu and all the trappings of a modern restaurant. 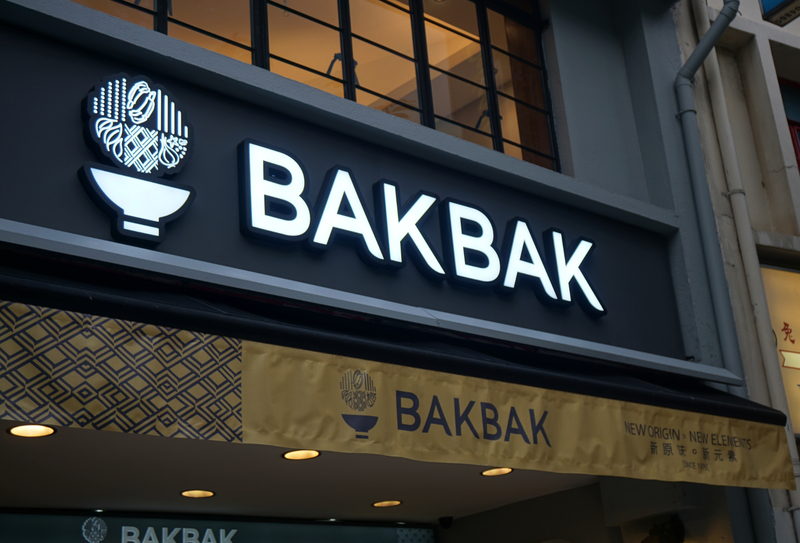 BakBak’s hardware seems great, but is the food up to scratch? I must say I was taken aback by the intelligent picks made by the BakBak team in terms of influence. 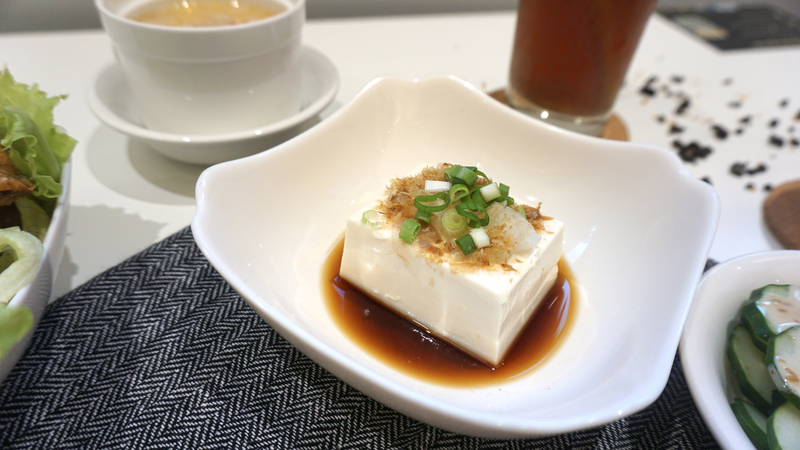 The influence of Japan comes in quick dashes, and starts with a very understated Cold Tofu with Ponzu Sauce ($2). I didn’t see it coming, but this dish fit in perfectly as an appetiser because it’s refreshingly cold and the ponzu sauce delivers a little kick to the tongue. The Chawanmushi with Homemade crab sauce ($4.50) is the polar opposite of the tofu. This is warm, almost savoury comfort in a bowl. Thick, friendly but easy to finish, it puts people at ease. I also liked it that they made the You Tiao easier to eat. No more oily fingers when picking them up because it’s now on a stick! 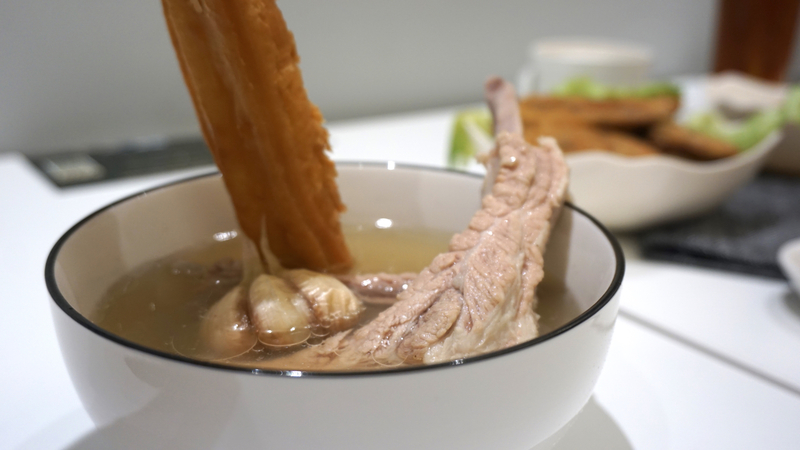 We all know what Midview City’s Rong Cheng is famous for, and that’s the peppery white broth served with a giant “Dragon’s Rib”. Of course, they didn’t really hunt down a dragon, but the loin rib of a pig is longer than the normal rib, and therefore named the “Dragon Bone”. 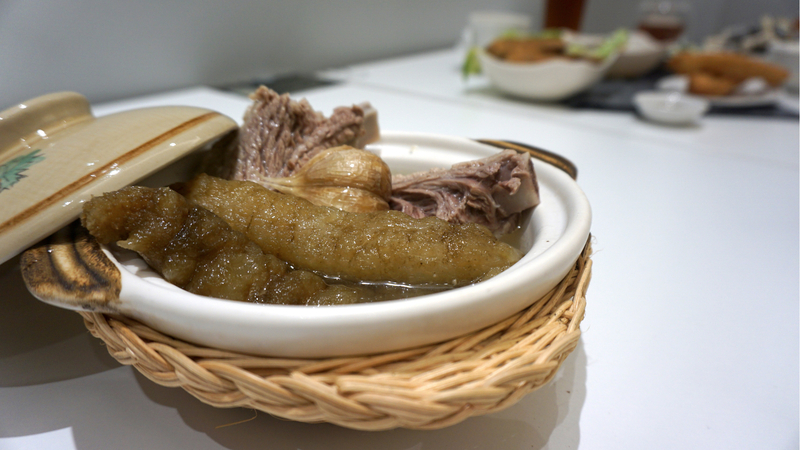 But this pioneering dish was held in reserve, for an even more surprising innovation: The Pork Rib Soup with Sea Cucumber ($17.50). Rong Cheng pioneered the peppery broth and Dragon Bone to give diners something different. Now, it seems like they’ve taken it one step further at BakBak. The light, balanced peppery heat is still there, but now, there is a tinge of sea cucumber in that soup. 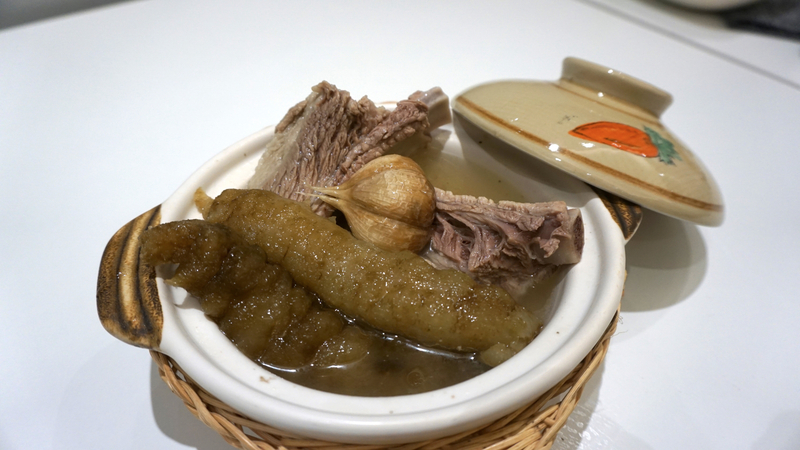 I also like it that the slightly chewy sea cucumber acted as a textural foil to the tender pork rib meat. It’s hard to deviate from tradition, but I think BakBak has made a new stalwart here. We cannot miss out on the legendary Premium Dragon Bone Soup ($10.50) of course. This is a full on classic, in the sense that nothing has been changed from the original recipe. The advice is to crush the cloves of garlic that come with every bowl of soup to give it the extra flavour oomph. I did precisely that, then started sipping on the soup. The soup was indeed more fragrant, but the balance of pepper and sweetness of the pork stay the same. It has that slightly salty-sweet taste on the tongue before giving me a comforting heat as it made its way down my body. The loin rib isn’t the fattiest part of the animal, so there was some bite to the meat which I enjoyed. Pro tip: get a stick of you tiao and soak it in the soup for maximum pleasure. 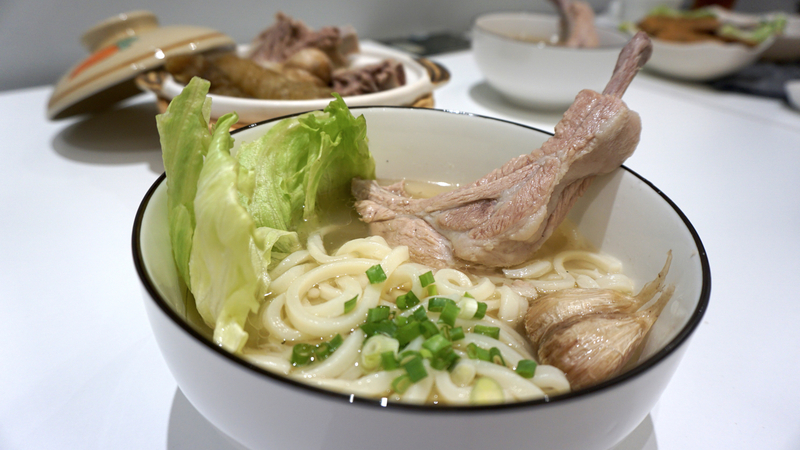 The innovation continued to hit the table, this time with a Japanese slant to it in the form of the Sanuki Udon with Pork Rib Soup ($7). You can also opt for the Dragon Rib version at $11. The Sanuki Udon comes from Japan’s Kagawa Prefecture, and made in thicker, fatter strands which are perfect for soaking up the flavourful Bak Kut Teh broth. I actually held off on the noodles, waiting for them to take in a little bit of the broth before I started chowing down on them. 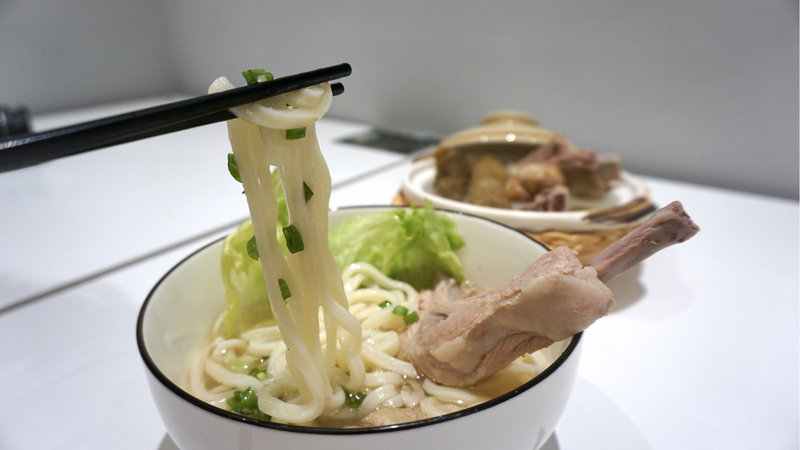 The result is a Bak Kut Teh-infused Udon noodle that seeps with flavour as you chew down on it. It’s a smart play to deviate away from the usual rice carb, and I think it’s worth an order. 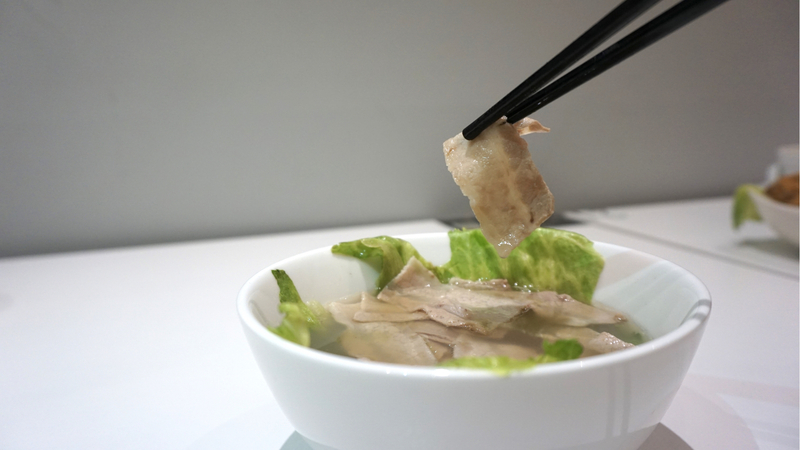 The last, and most surprising turn of the night, was the Natural Sliced Belly Meat Soup ($8). The pork is comes from organic sources, and sliced very thinly in an almost shabu shabu manner. This thinness keeps things light, and goes well with the Bak Kut Teh broth. What I really like about this is that the pork doesn’t overwhelm the broth, and goes perfectly with a serving of rice. BakBak seems to be seeking a new road on the journey to the top, and seems serious about infusing some innovation into its new foundations. If you put aside the app-based waiterless ordering and Ichiran-style counters, what you have is a well-thought out menu with courage. 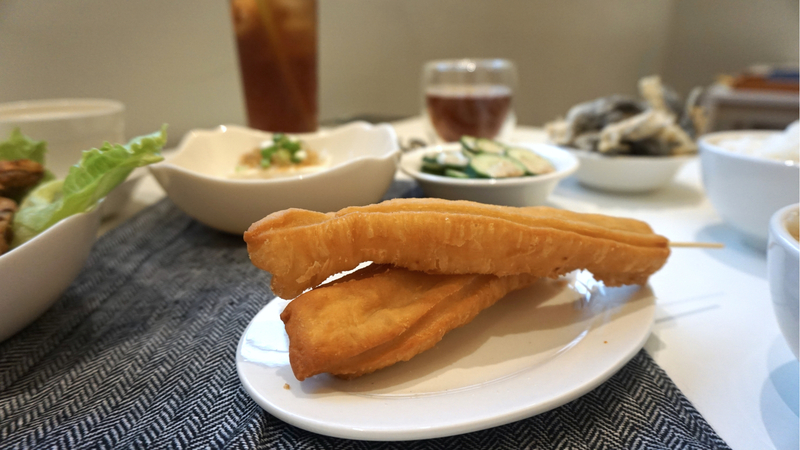 If Song Fa and the rest of the Bak Kut Teh outlets in the area aren’t careful, they’re going to be so much further behind in this game because right now, BakBak has the future locked down.